By Christmas time workers will have commenced the removal of asbestos from Sydney’s small underground power stations. This is seen as a effort to rid the entire power industry of the deadly building material. Asbestos will be removed from 10 small electricity substations throughout the city in the next few months, in areas such as Circular Quay and Hyde Park. 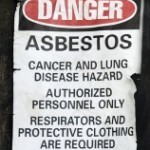 The Electrical Trades Union unveiled internal Ausgrid documents last month that documented approximately 49 asbestos-related illness cases at the company over 22-years. The union reports that friable– or easily crumbled– asbestos is still hidden away at the underground electricity substations and meter boards. They have since called on the companies to be reviewed and have the asbestos removed. However, an Ausgrid spokesman said the holiday asbestos-removal was was part of the provider’s ”normal asbestos removal program” at over 250 substations under the city’s footpaths and roadways. The spokesperson stated that the work will predominantly take place in the evening to avoid significant disruptions, but a small number of households will experience interrupted electricity supply. The spokesman added,anyone being affected by electricity cuts will be notified of any planned interruption. According to the government’s National Health and Medical Research Council, estimates indicate there have already been at least 4,700 deaths from mesothelioma in Australia since records began in the early 1980s. Over 25,000 Australians will die from it over the next 40 years and currently 500 men and 100 women develop mesothelioma annually in Australia. This number is expected to rise to 900 cases per annum by 2020.